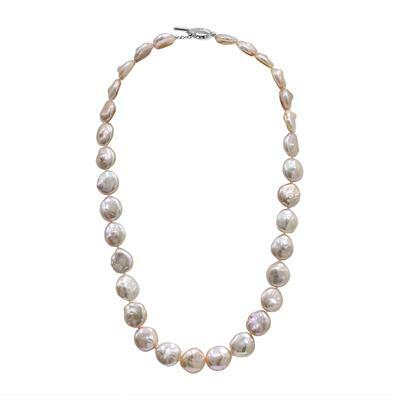 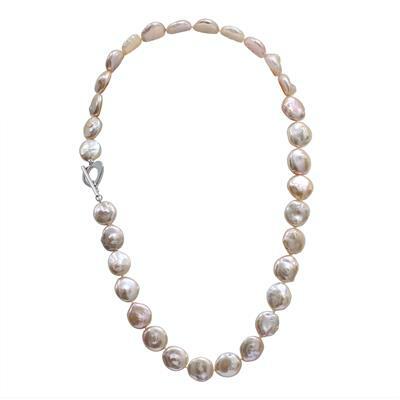 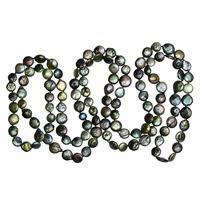 A beautiful flat coin freshwater cultured pearl necklace with matching adjustable stretch bracelet. 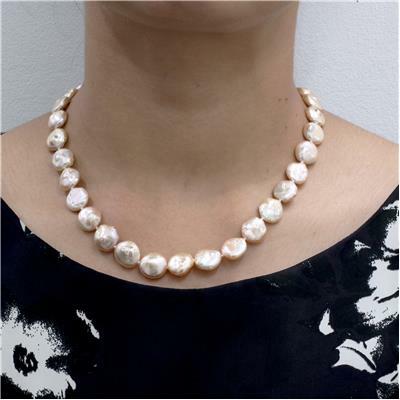 Each stones pinkish peach color tone along with a beautiful sheen finish combine to create a very genuine and rich matching necklace and bracelet set. 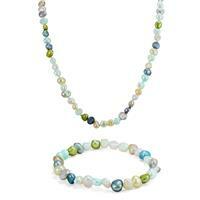 The necklace secures with a durable heart toggle clasp. 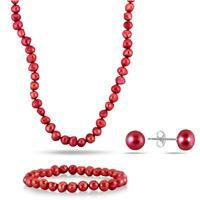 Great quality pieces that can be enjoyed as a set or worn individually with formally and casually. 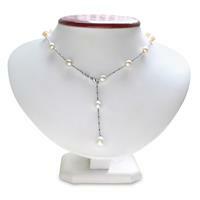 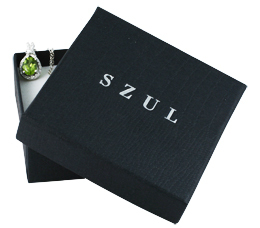 The necklace is strung on double knotted thread for extra durability. 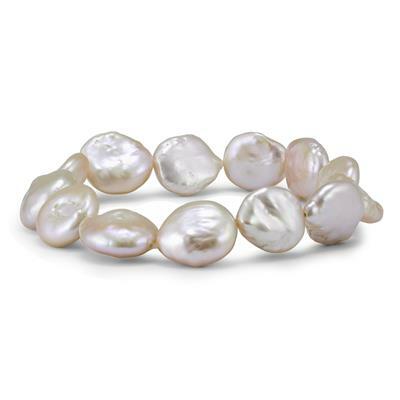 The one size fits all bracelet is strung on a high quality stretch band. 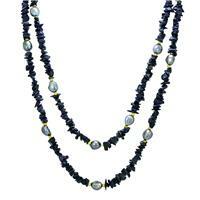 The necklace measures 17 inches in length. 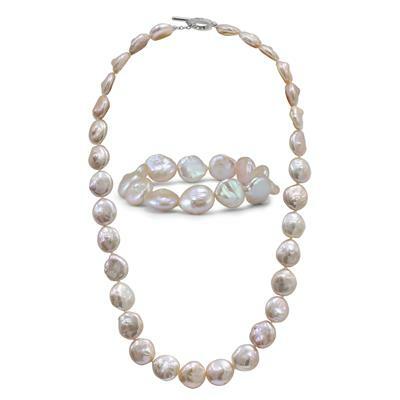 A beautiful look and an exceptional value.